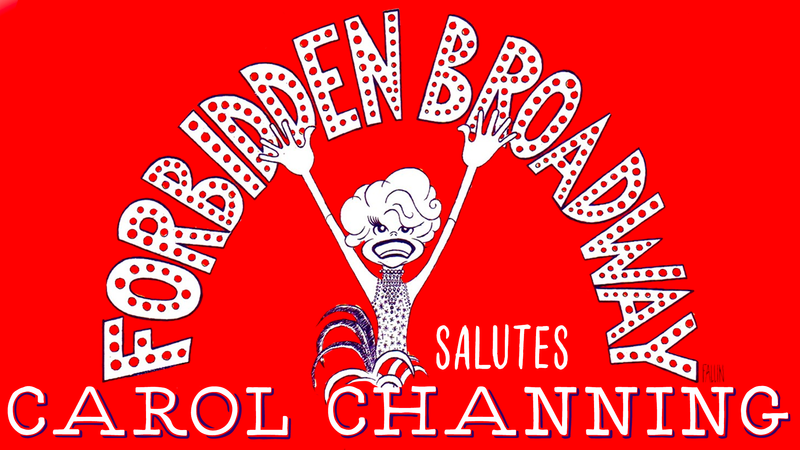 From the brilliant mind of Tony Award winning writer Gerard Alessandrini comes a brand-new revue: Forbidden Broadway Salutes Carol Channing! More than any other star spoofed by Forbidden Broadway, Carol Channing was poked, prodded and punctured by Forbidden’s merry troupe of vengeful young singers. And Carol loved every minute of it! Numbers will include a recreation of Channing’s own take off on Marlene Dietrich- the scathing number that prompted Marlene herself to storm out of the theater during Carol’s performance, a sprinkling of a few classic Forbidden Broadway Diva numbers like Ethel Merman, Mary Martin, Chita Rivera, and Lin-Manuel Miranda, and a premiere number- “The Spirit of Channing,” a hysterically bizarre and surrealistic number where Carol Channing’s Ghost roams around Broadway today dropping in and joining in on current shows like Hamilton, Anastasia, and Dear Even Hansen.